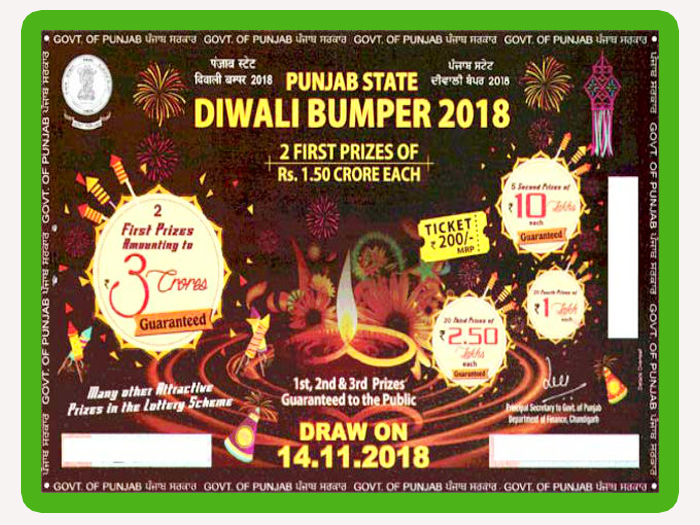 Next Bumper Lottery - Punjab Diwali Bumper - 2018Prize Structure All Punjab Pooja Bumper 2018 Lottery Sale started. Punjab Diwali Bumper-2018 Ticket Cost Rs.200/- Only. Punjab Lottery Results Draw Held On 14/11/2018 We publish Punjab Bumper Lottery - Punjab Diwali Bumper - 2018 Live.